Started in 2007 by owner and winemaker Morgan Twain-Peterson MW (son of the legendary Joel Peterson who founded Ravenswood Winery) and later joined by his business partner Chris Cottrell, this winery is building a reputation for producing some of the most exciting wines coming out of California today. Already receiving recognition in the US from wine journalists, critics and fellow winemakers, this winery is really one to watch. 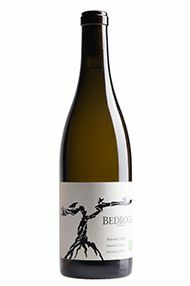 Bedrock strives to work with old vineyard plantings (dating back to the late 19th century) of traditional field blends, that are sourced from both their own vineyards and beyond. Over a number of years Morgan has forged extraordinary relationships with growers, giving him access to some of the best-quality vineyards in California, including sites in Amador County, Lodi and Contra Costa County. 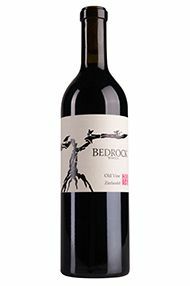 With an average age of 81 years, when it says “old vine”, Bedrock means it! 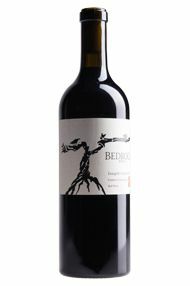 The fruit comes mainly from the Bedrock vineyard, as well as Teldeschi Ranch, Sodini Ranch, Nervo Ranch, Katushas, Evangelho, Esola, Casa Santinamaria and Story vineyard. This wine’s inherent quality is thanks to the quality of the fruit at source, while the various terroirs add to the complexity. The great concentration and structure displayed here will ensure this Zinfandel ages beautifully. Morgan and Chris call this their “unicorn vineyard”. Planted in 1890 on its own roots, the vines are planted on the deep sand banks of the Sacremento River Delta in Contra Costa County. The field-blended blocks are co-fermented and likely to contain 60 percent Zinfandel (with 35 percent Mataro, some Carignan, Palomino and some “odds and ends”). Classic Zinfandel aromas of dried red berry fruits and black tea are supported by liquorice spice and almost garrigue-like herbs. 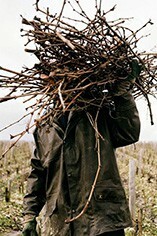 There is lively acidity, and a density and concentration that can only be attributed to the old vines from which the grapes are sourced.